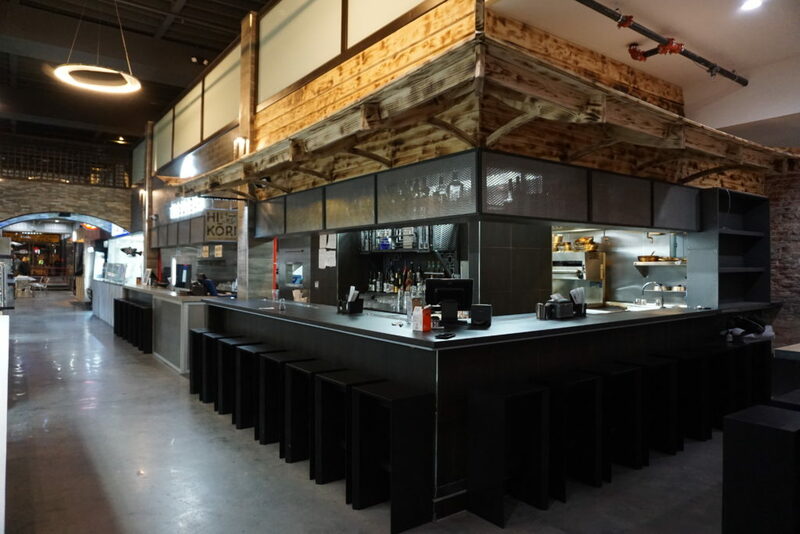 Food halls – upscale, urban gastronomical gathering spots – are trending in Philadelphia. Of course, the city is home to the granddaddy of the modern food hall: Reading Terminal Market, which opened in 1893 and today boasts more than 80 vendors. 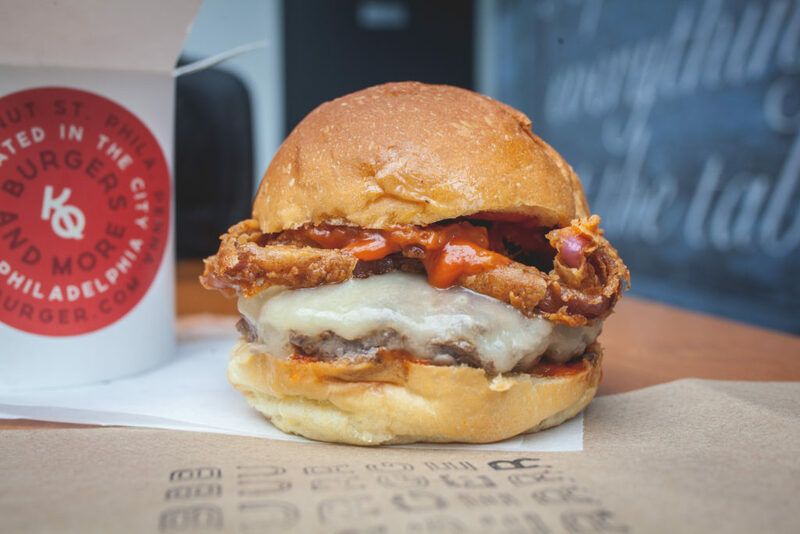 Now the next wave is here: Chinatown Square opened in 2017, Franklin’s Table opened this spring on the University of Pennsylvania campus, and the revamped Bourse Marketplace is preparing to launch this summer in Old City. 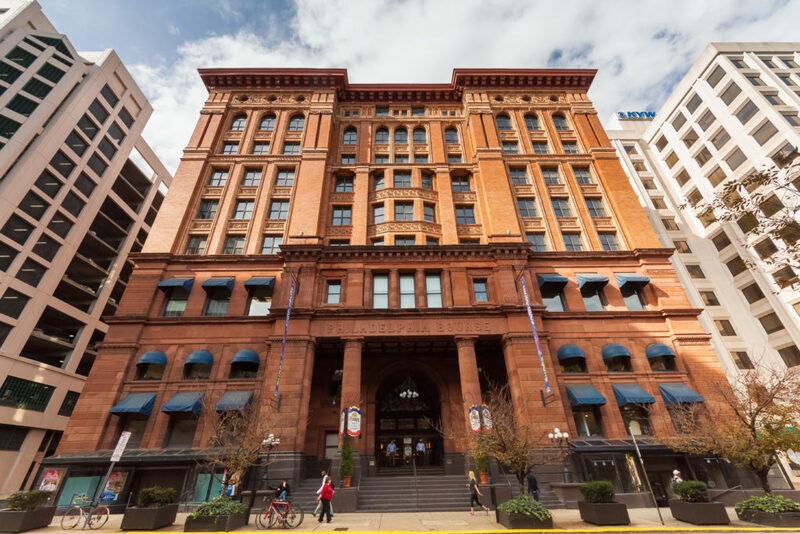 Located adjacent to Independence Mall, The Bourse project is part of a $50 million renovation of the erstwhile commodities exchange, built in 1893. It will be Philly’s biggest food hall yet, capitalizing on the three million tourists who pass its front door every year and its proximity to both federal offices and posh residential neighborhoods like Society Hill. “The trend of the urban food hall [follows] the general demographic trends of populations (mostly millennials and baby boomers) gravitating to the urban cores for the quality of life that only a vibrant city can provide,” says Michael Morris of CanaDev, which is lining up 29 food vendors at the Bourse. 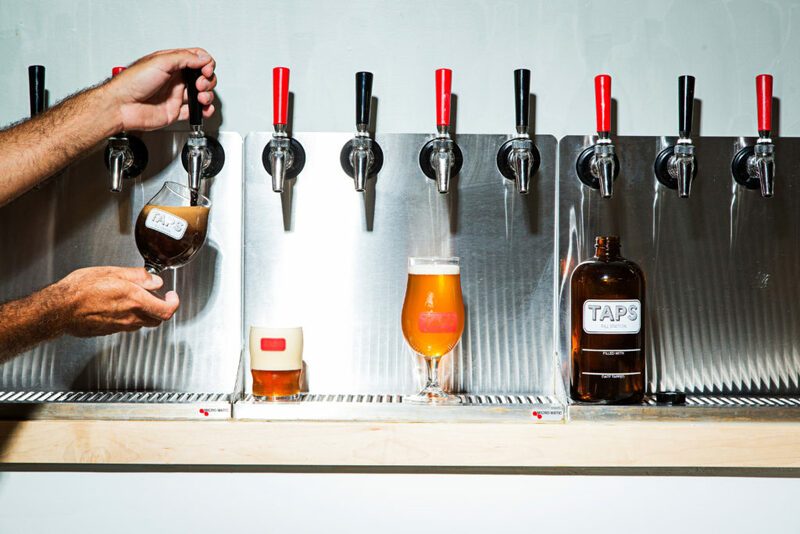 When it opens this summer, those offerings will include new-to-Philly vendors — such as Baltimore import TAPS Fill Station, a bar and takeout shop for local beer, cider, wines and mead — alongside outposts for Pennsylvania purveyors such as Menagerie Coffee; 3rd and Ferry, a new raw-bar and seafood concept from Easton’s popular fish market; Bluebird Distilling, a cocktail and retail store from the Phoenixville distillery; Chocodiem, a shop selling artisanal chocolates from Easton; Ka’moon, an Egyptian concept from the folks behind the Taza Truck in Easton; Chaat and Chai, an Indian street food concept moving from South Philly; Bronze Table by Vera Pasta from West Chester; and Scoop DeVille, a beloved Philadelphia ice cream shop. Franklin’s Table replaced the Moravian Food Court, an outdated, early-’90s relic, and is a lynchpin of the university’s new SHOP PENN campaign, designed to promote shopping and dining on 10 city blocks around the campus. 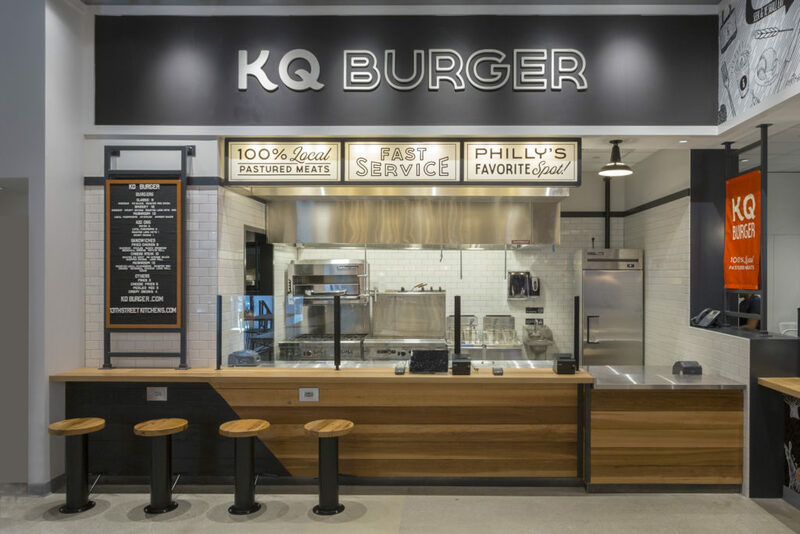 The 8,000-square-foot space seats 175 and houses seven food vendors, including KQ Burger, an offshoot of Kensington Quarters, a restaurant centered around sustainably-sourced local meat in the city’s Fishtown neighborhood. The campus location is another part of the appeal. Besides KQ, Franklin’s Table vendors include High Street Provisions from prominent Philly restaurateurs Ellen Yin and Eli Kulp; DK Sushi, a new concept developed by Michael Schulson’s popular Double Knot; Goldie, a falafel joint from local Israeli food ambassador and James Beard Award-winning chef Michael Solomonov; Pitruco Pizza, a permanent location for the popular wood-fired pizza truck; The Juice Merchant Juicery and Café, a vegan juice and smoothie stand; and Little Baby’s Ice Cream, another Philly favorite famous for its creative flavors. Back across town, Chinatown Square offers Asian food that is intentionally distinct from its neighboring eateries. Offerings include Philly Poké, a shop specializing in the Hawaiian specialty; Hi Kori, a spot for Japanese street food; the Cambodian Khmer Grill, a business that began as a vendor in South Philly’s FDR Park; and Dae Bak, a full-service Korean restaurant. 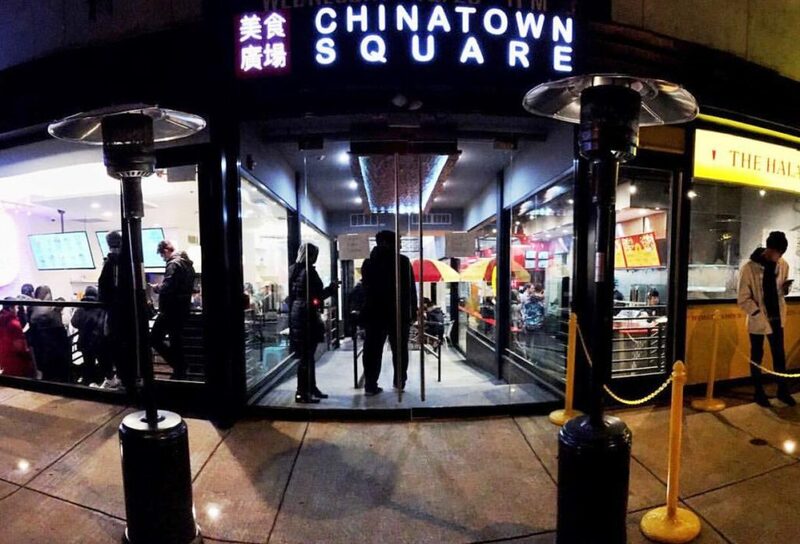 Chinatown Square also boasts several bars and a retail wine shop.